Now in Marathi, once upon a time, in small-town India, there lived two intelligent boys. One wanted to use his intelligence to make money. One wanted to use his intelligence to create a revolution. The problem was, they both loved the same girl. 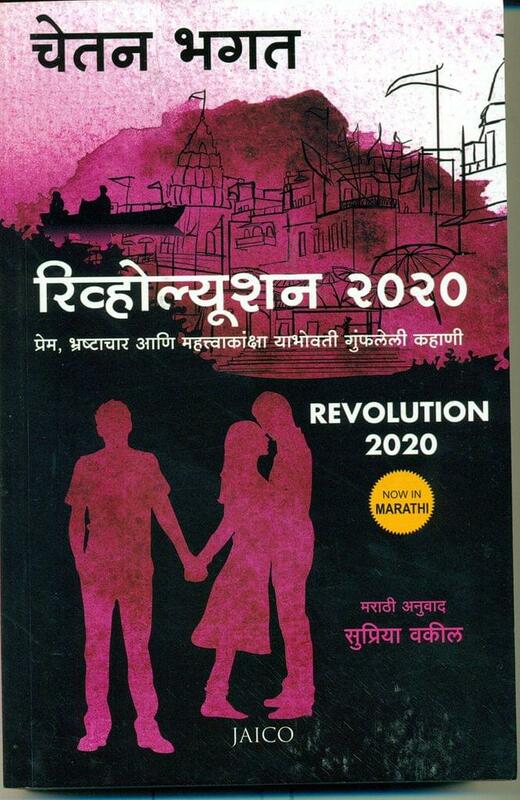 Welcome to Revolution 2020. A story about childhood friends Gopal, Raghav and Aarti who struggle to find success and love in Varanasi. However, it isn't easy to achieve this in an unfair society that rewards the corrupt. As Gopal gives in to the system and Raghav fights it, who will win? From the bestselling author of Five Point Someone, one night at the call center, the Three Mistakes of My Life and 2 States, comes another gripping tale from the heart land of India. Are you ready for the revolution?